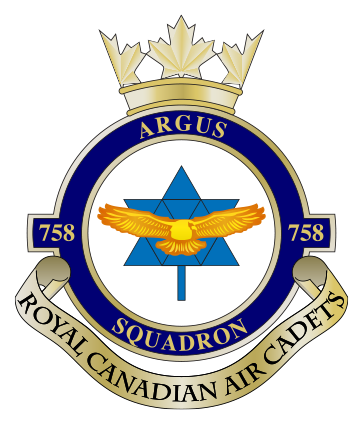 All details regarding joining 758 Argus Squadron are posted under Join Us. You do not need to call ahead or email ahead to confirm your attendance at one of our registration sessions. Please note: our squadron serves the East end of Brampton (East of Highway 410 – Bramalea). Should you live outside of this geographic area, there is likely a squadron located closer to you that delivers the same curriculum. 132 Spitfire Squadron serves the West end of the city (West of Highway 410). 892 Snowy Owl Squadron serves the area to the North. If you are interested in Army Cadets, you may want to check with 557 Lorne Scots. Or you may also be interested in the Sea Cadets. All elements run common training components such as drill, physical fitness, teamwork, and leadership with a strong focus on the air, army, or sea subjects respectively. Air cadets is highly academic. If there are any barriers to learning or if there is an IEP at school, it is helpful for us to be aware of those things so that we can make the appropriate accommodations or modifications, if at all possible.